One Teach, One Observe - I.C.T. Works. Period. The "One Teach, One Observe" ICT model occurs when one teacher instructs, while the other collects data about students, the environment or the co-teacher and/or lesson. PROS: This model is ideal for collecting student data that can possibly used later to inform inquiry, lesson planning, assessments, student IEP program, behavioral intervention plans (BIPs) and even grading. It's an ideal way for one teacher to focus on instruction while the second teacher can make observations that the lead teacher may miss while teaching. 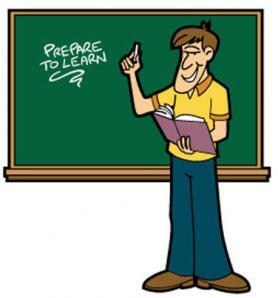 CONS: If used so often that it becomes the norm, the lead teacher may begin to seem like the sole authority figure in the class, while the second teacher may begin to be viewed as just "an assistant". This can create problems in the classroom among co-teachers and students. TIPS: To combat any problems involving equity or classroom dynamics, teachers should establish clear roles on who does what duties during this model. Teachers should also alternate roles often when using this model. Teachers should not rely on this model for all instruction; try to change things up sometimes! For example, the observing teacher can lead the warm-up activity, observe during instruction then end the lesson with a closing activity. Also, an active role in the lesson should always exist for the "observing" teacher, such as working with a small group or student-teacher conferencing once instruction is complete.